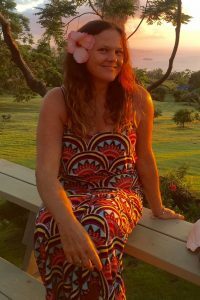 Kathy is a passionate world traveler and for the past 16 years has been guiding and sharing her knowledge of the land, history and culture of her many diverse tour destinations. Whether it’s the charming villages of Provence in France, the “unique inside view” of her home territory in the Hawaiian Islands, the beautiful Welsh countryside of her ancestors, or the striking scenery of the Mediterranean Island of Corsica, she takes great delight in sharing her knowledge of wild herbs and plants along the trails, world class wineries and gourmet regional cuisines. She will be sure to introduce you to her many colorful, local friends along the way. Kathy is American, but has lived and explored many parts of Europe and South America, lived, worked and explored the vast expanses of Alaska, operated an organic farm on the island paradise of Maui in the Hawaiian Islands and lived in the cosmopolitan center of Paris, France. Kathy is also a professional chef and takes great pride in finding the best of the best of culinary experiences.